ROCKING TYPE GANG OPERATED AIR BREAK SWITCH / ISOLATOR. 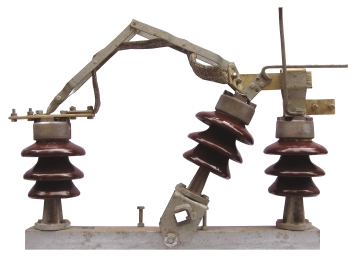 Available in 11kV, 22kV & 33kV ratings. Available with 3post insulator or 2 post insulators type. Current rating 100A to 630A. Both vertical or Horizontal mounting arrangement. All ratings are Type tested as per IS / IEC.